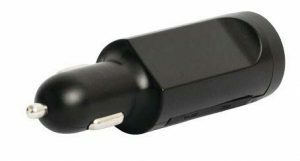 The SP8603 series of portable GPS trackers plug right into a vehicle’s accessory/charger outlet for maximum flexibility. These cost-effective Plug & Play devices can be easily moved from one vehicle to another within seconds. The Quad-band GMS modem technology enables the tracking devices to be used anywhere in the world — it also sports a 3-Axis accelerometer and a G-Force Sensor. With the SP8603 series, trip data can be obtained from any vehicle. Typical uses include vehicle rentals, the monitoring of young drivers, tracking mileage for fleet vehicles, and fuel card validation. Save time and money, improve how you manage drivers, and track your fleet more efficiently with Skypatrol. Learn more here or contact our team for a demo of our products.